The recognition and enforcement of foreign judgments in Mexico is governed by international private law, Mexican federal law, and the laws of the Federal District of Mexico and the several Mexican states. On the international level, Mexico is a party to international agreements and, in general, adheres to a set of international norms and principles governing the recognition and enforcement of foreign judgments. Specifically, Mexico is a signatory to the Inter-American Convention on Letters Rogatory, the Inter-American Convention of Montevideo de 1979, and the United Nations Convention on the recognition and execution of foreign arbitration judgments. Mexico also affirmed the 1971 Hague Convention for the Recognition and enforcement of foreign judgments, although the Convention never took effect. In general, these principles will apply equally to judgments rendered in all countries. Indeed, Spain is the only country with which Mexico enjoys a bilateral agreement effecting the execution and enforcement of foreign judgments. Correspondingly, Mexican domestic law reflects the principles embodied in these agreements and held by the international community as a whole; namely, that the recognition and enforcement of a foreign judgment may be denied only if (1) the defendant was not given proper notice (service and summons) of the original action or was otherwise denied due process by the court rendering the judgment; (2) other legal matters are pending between the parties concerning the same issues; (3) recognition and enforcement of the judgment would be contrary to the public order of the country called upon to do so; (4) the judgment involves an in rem action; or (5) the defendant affirmatively proves that the country where the judgment was entered refuses to recognize and enforce similar foreign judgments, i.e., the reciprocity principle. In applying the above rules, the Mexican judge is precluded from looking to the merits of the case or question the efficacy of the foreign law applied However, when faced with issues concerning the “public order,” the judge’s decision becomes more subjective. Nevertheless, Mexican judges are inclined to rule a decision contrary to the public order of Mexico only when it offends the well-established morals and values of the nation, not merely when a foreign country’s laws are dissimilar or disagreeable to Mexico. As an illustration, because polygamy is prohibited in Mexico and immoral, it is clearly contrary to the public order for a Mexican court to recognize and enforce a polygamous marriage regardless of where it was contracted. In contrast, large personal injury judgments and punitive damage awards are also precluded under Mexican law. However, because the issue of damage awards is not said to involve the “public order,” Mexican courts generally will fully enforce the awards, so long as the above numerated conditions are satisfied. Parties seeking recognition and execution of foreign judgments in Mexico must look either to the Federal Code of Civil Procedure or the state procedure code of the jurisdiction in which the recognition and enforcement is sought. In addition, the Code of Civil Procedure for the Federal District of Mexico, which officially governs all local actions within the Federal District, has a well-developed set of rules for the execution and enforcement of foreign judgments. In practice, these rules are applied by most state courts throughout Mexico. Finally, as a general rule, if the action is civil, it is brought in state court and if commercial, in federal court. In practice, to obtain recognition and enforcement of the foreign judgment in Mexico, a plaintiff must take several steps, which, from start to finish, take on the average a year and a half. First, under the 1961 Hague Convention, published as law in Mexico on August 14, 1995, in the Diario Oficial, to be admissible in Mexican court, the foreign judgment must be notarized, apostilled and officially translated. Next, the plaintiff must file the recognition action in a court competent to assert jurisdiction over the defendant, present Letters Rogatory from the court rendering the judgment, and serve the defendant, who is then given nine days to respond. Based on the substantive considerations outlined above, the judge then rules on whether to recognize the foreign judgment. The defendant then may appeal the matter to a higher court, and as a last resort invoke a direct amparo appeal. Once the defendant’s appeals have been exhausted, the matter is res judicata. Next, the plaintiff enforces the judgment. 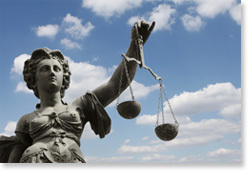 The judge may place a judicial lien on the defendant’s property, real and personal, within the jurisdiction. If the defendant refuses to pay, his property may be seized and sold at a public auction to satisfy the judgment. Once the enforcement order becomes final, it binds not only the defendant but all third parties claiming a right in the property of the defendant at issue, except in rem rights previously recorded.